Wollongong, informally referred to as “The Gong”, is a seaside city located in the Illawarra region of New South Wales, Australia. Wollongong lies on the narrow coastal strip between the Illawarra Escarpment and the Pacific Ocean, 82 kilometres (51 miles) south of Sydney. Wollongong had an estimated urban population of 295,842 at June 2016, making it the third-largest city in New South Wales after Sydney and Newcastle, and the tenth-largest city in Australia. 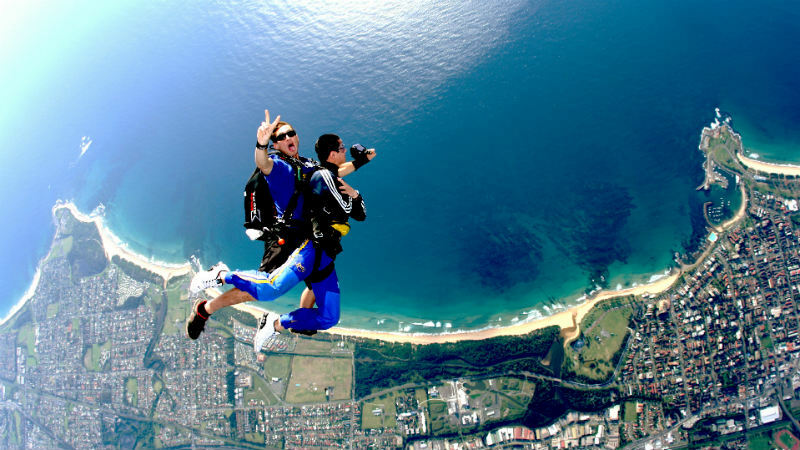 From skydiving to trike rides, art galleries to museums, pristine beaches to walking trails – Wollongong is the ultimate destination to escape the everyday. And only an hours’ drive south of Sydney, it is perfectly positioned for that coastal weekend getaway. Shellharbour (also known as Shellharbour Village) is a suburb located in the Illawarra region of New South Wales, Australia. It also gives its name to the local government area, City of Shellharbour. The suburb is centred on the small recreational harbour named Shell Harbour. It has two main beaches: Shellharbour Beach, which runs to Barrack Point and Shellharbour South Beach, which runs toward Bass Point. Located just south of Shellharbour Village, Bass Point Reserve is 72 hectares of unspoilt, heritage listed coastal rainforest. It is home to Bushrangers Bay, not only very popular for diving and snorkelling, but also offers shelter to vast marine life – some of which are rare to the south coast. Bass Point boasts a natural rocky shoreline with sandy embayments and is highly regarded for its pristine condition as a relatively undisturbed environment. It supports a variety of endangered fauna and flora species – including the endangered grey nurse shark. Dapto is a suburb of Wollongong in the Illawarra region of New South Wales, Australia, located on the western side of Lake Illawarra and covering an area 7.15 square kilometres in size. As at the 2016 census, the suburb had a population of 10,730. The name Dapto is said to be an Aboriginal word either from Dabpeto meaning “water plenty”, or from tap-toe which described the way a lame Aboriginal elder walked. The suburb was officially founded in 1834, when George Brown transferred the Ship Inn from Wollongong to Mullet Creek Farm, in an area now named in his honour as Brownsville. After an unsuccessful attempt at wheat growing in the 1850s, Dapto embraced the dairy industry. Dapto was once, during an episode of the ABC TV show The Aunty Jack Show, part of a parody of the nearby city of Wollongong. The lyrics of the Lucky Starr song “I’ve Been Everywhere” were changed so that, instead of listing a wide range of Australian towns, the song said “I’ve been to Wollongong, Wollongong, Wollongong, Wollongong, Wollongong, Dapto, Wollongong, Wollongong (etc)”. Kiama is a coastal town 120 kilometres south of Sydney in the Illawarra. One of the main tourist attractions is the Kiama Blowhole. Kiama features several popular surfing beaches and caravan parks, and numerous alfresco cafes and restaurants. Its proximity to the south of Sydney makes it an attractive destination for a large number of day-trippers and people wanting to stay numerous numbers of nights. Kiama was the site of two strong volcanic flows, called the Gerringong Volcanics, which came out of Saddleback Mountain, now a collapsed volcanic vent. The Kiama Blowhole is part of an erosion process on the more recent rock, formed into columnar basalt, or latite. Kiama’s famous Blowhole is the largest in the world! A viewing platform with disabled access gives good views of Kiama blowhole. This landmark has attracted people to the region for over 100 years, was first sighted by George Bass when he anchored his whale boat in the sheltered bay, now known as Kiama harbour, in December 1797. It is estimated that 900,000 people visit the Blowhole per year to view the spectacular plumes of water that can be seen when the seas are running from the south east. Only a short distance from the town centre and railway station, the Kiama blowhole has picnic areas and rock pool nearby. The Kiama area includes many attractions, being situated on the coast south of the Minnamurra River, and to the west lie the foothills of Saddleback Mountain and the smaller less discernible peak of Mount Brandon. Also to the west is the town of Jamberoo with pasture-land in between, which contains many historic buildings and dry stone walls. Also of note is Seven Mile Beach to the south, a protected reserve. Kiama has several well-known surfing beaches, including Surf Beach, ‘Mystics’ and Boyds’ Beach, as well as other more protected swimming beaches situated in coves between headlands such as Black Beach, Easts Beach and Kendalls Beach. Kiama Harbour forms one of several coves between headlands. On the banks of beautiful Shoalhaven River, Nowra is a delightful town on the NSW South Coast with intriguing museums, fascinating galleries and enchanting river cruises. You’ll enjoy delicious food and wine experiences and the Shoalhaven region’s main town is close to gorgeous beaches, too. Rich soils support farmlands and vineyards, and the river estuary is part of Australia’s Oyster Coast. Taste fresh regional produce at quality restaurants, such as award-winning Wharf Road, which overlooks the river. Visit cellar doors at Lyrebird Ridge Organic Winery and Cambewarra Estate Winery. For breathtaking panoramas of the river and beyond, stroll along Bens Walk and stop at Hanging Rock. The wide river is popular for fishing, boating, kayaking and river cruises. Join Shoalhaven River Cruise aboard its Shoalhaven Explorer for delightful tours up and down the tranquil waterway. Up the river is the heritage-listed Bundanon, home of the great artist Arthur Boyd who donated it to the public in 1993. The homestead and land includes the adjoining property of another great artist, Sidney Nolan. The historic homestead and Boyd’s studio are open on Sundays from 10.30am to 4pm. With beautiful ocean beaches and tranquil coastal lakes, Merimbula is an enchanting seaside town on the sparkling Sapphire Coast. Wonderful things to do and see include a range of water sports, whale watching, exploring an aquarium and wildlife sanctuary, and tasting delicious fresh seafood. On Australia’s Oyster Coast, Merimbula is derived from a local Aboriginal word meaning ‘two lakes’, a reference to Merimbula Lake on the southern side of the town and the smaller Back Lake on the northern side. The calm waterways are popular for sailing, kayaking and stand-up paddleboarding. You’ll find accommodation options to suit various budgets and check out the events calendar for festivals and shows, including Eat Merimbula. Enjoy local seafood and produce at a delicious range of restaurants. Beaches are a major attraction, with Merimbula Main Beach stretching 6 km. The sandbank at the northern end creates a lovely wave for surfers. Short Point enjoys good waves, too. Bar Beach is great for snorkelling. Spencer Park Beach is ideal for families with kids and there’s a playground. You’ll be delighted with walking trails too, such as the lakeside Merimbula Boardwalk and just north in Bournda National Park, home to Wallagoot Lake. Merimbula is on the far NSW South Coast and six hours’ drive from Sydney, 6 h 45 min from Melbourne and three hours from Canberra. You can also fly to Merimbula Airport. At the sparkling entrance of the beautiful Clyde River is Batemans Bay, a charming seaside town surrounded by natural beauty. The bay was named in 1770 by explorer Captain James Cook, who was a lieutenant at the time and on his first voyage. You’ll discover more about the area at the Old Courthouse Museum. With plenty of accommodation options, Batemans Bay is great base for exploring the wonders of the Eurobodalla region, from magnificent beaches and wildlife encounters to ancient pathways and fresh seafood and produce. Water sports are popular too, including swimming, surfing, kayaking and fishing. Enjoy a fun day at Surf Beach, which is patrolled during the peak season. The crystal-clear coastal waters are perfect for an underwater adventure on the Batemans Bay Snorkelling Trail. Hire a bicycle and pedal along the foreshore on the Batemans Bay Cycleway. Deep-sea fishing tours depart from the marina. You’ll find many more things to do and see, such as bushwalking, kayaking and fishing in the enchanting Clyde River National Park. On the coast, Observation Point is a picnic area and lookout with a magnificent vista of Snapper Island. Meet Bangles the wombat and Big Red the kangaroo at Birdland Animal Park.